Semi-permanent make-up also known as permanent cosmetics, derma graphic art, micro-pigmentation or cosmetic tattooing is a procedure whereby minute particles of natural and synthetic iron oxide colour pigments are implanted a little more than 1.5mm below the skin surface using a hand piece tool that holds a sterile needle grouping. People with non asymmetrical features, uneven brows, and eyes to close together or too far apart for example. Hair stroke is very natural, fine hairs tattooed into the eyebrows to mimic the hair already there or to give a soft effect. The hair stroke method has become incredibly popular in recent years, a very natural lifelike looking brow can be created using the hair stroke method. The advantages are that it does look very natural, like real hair. It is perfect for people that don’t have good hair coverage, and for those who want to fill out gaps in their eyebrows where hair is missing, because the hair strokes can be made to mimic the natural hair present in colour, thickness and angle. The powdered brow is more of a defined brow that is good for clients with existing hair and shape that can be created by packing in pigment for a fuller brow. The technique is similar to the hair stroke brow but by implanting hair strokes tightly packed together. A conventional tattoo is implanted into the skin at 3.5mm, below the exfoliating layers of the skin, whereas semi-permanent make-up is implanted at just under 2mm depending on the area of the skin where colour is being implanted. Other factors include the inks (pigments) which are being implanted, a permanent tattooist would use inks that contain carbon, and carbon does not leave the skin easily whereas semi-permanent make-up artists use pigments that contain oxides which do. 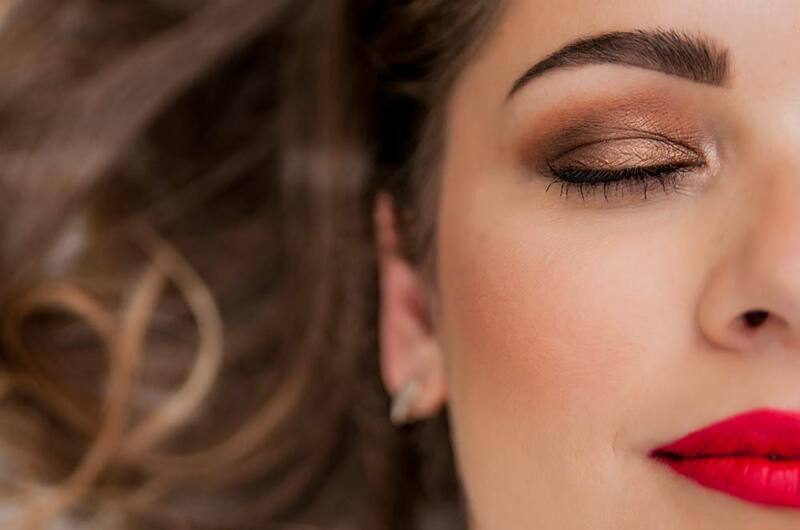 Ideally semi-permanent make-up can last around 18 months to 5 years, it is important that it fades out as adjustments to the makeup is needed as you age over the years, I.e. skin colour and texture change with age so the colour will need adjusting to suit you. Also the skin around the eyes and brows looses elasticity and drops as we age, so tails on brows need adjusting to lift and open the eye creating a more youthful appearance. A £45 deposit will be required when booking, £125 on your first appointment and £125 on your top up appointment, which will be 4 weeks after your initial appointment. Please note our Colour Boost prices are from work previously done by us. After 18 months it will be £295 including a 4 weekly top up. 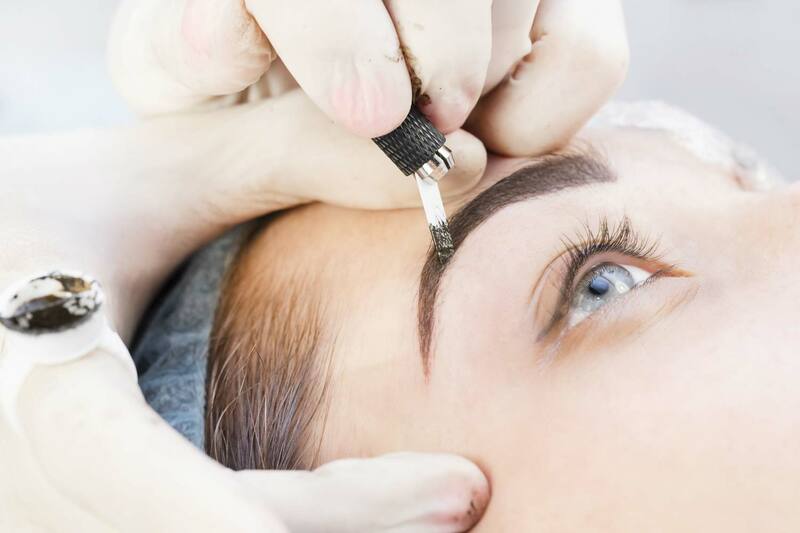 Careful attention needs to be taken when caring for your semi-permanent brows post procedure, within the next 3 days your procedure will lightly scab over then slough away, do not pick or pull at the treated area. We recommend you dry heal to give the best results and retain as much pigment as possible. Do not get the area wet or allow the jets of the shower to hit you directly on the tattooed area in the first 7 days. It will take 24 hours for the area to create a protective barrier, your final colour result will take 28 days, a re-touch cannot in any circumstances take place until 28 days as scarring may occur. Your procedure will take 3 phases 1) heal, 2) peel, 3) fade. We do not recommend that make up is worn post procedure or during the healing process, if make up must be worn we recommend Combat Cosmetics minerals with Manuka honey. If Aftercare is not followed procedures will not heal correctly and results will be poor.